Andandre Southrn Rednite AKA Cwmboi and Andandre South Summerbel AKA Cariad are now happy and settled in at their new home in South Wales UK. Cwmboi & Cariad are greatly missed but we are certain that we could not have asked for any better and more loving home. 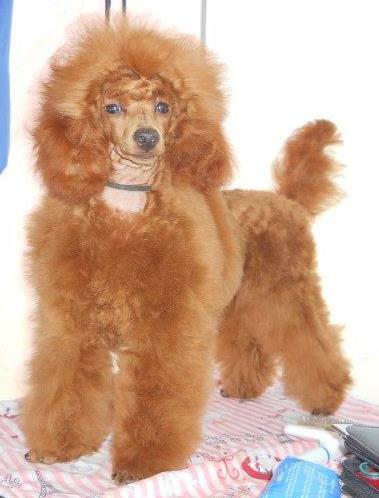 Both puppies are true specimens of the Toy Poodle standard and we are very proud of them. We wish them the best for their future show careers and the puppies that will be produced from this exquisite bloodlines. Andandre South Summerbel AKA Cariad was born on 12 August 2015 at Andandre Kennel. Cariad grew up as a "star" just wanted to be the centre of attraction and her attitude really showed that! 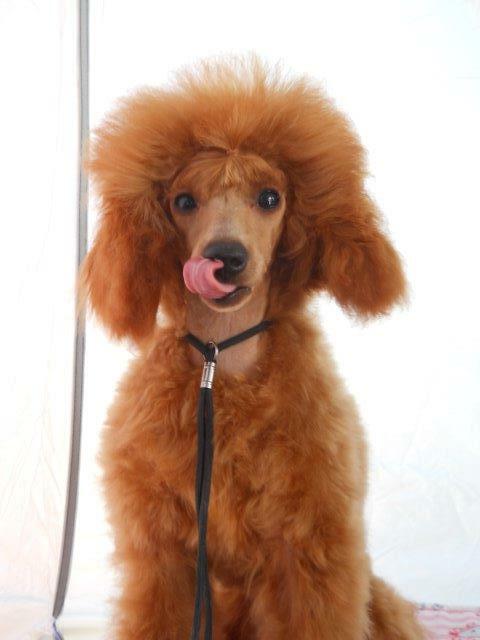 While Cariad grew up into a true Toy Poodle, she was trained for shows. Cariad did very well as a puppy in the championship shows and was awarded with Best Puppy certificates at two Championship shows. Her bright, dark red coat colour, ink black pigment, extreme coarse coat and exquisite movement surely turned heads! Andandre Southrn Rednite AKA Cwmboi was born on 19 August 2015 in our home. Cwmboi has a kind, loving nature and loves to be cuddled. He has a bright, orang-red coat, pitch black pigment, perfectly almond shaped eyes, dark, full of fire and intelligence. Just like Cariad, Cwmboi was show trained as a puppy and also did exceptionally well at the first two Championship shows. He was awarded First Place in Puppy Class as well as Reserve Challenge Certificate and Reserved Best of Breed.